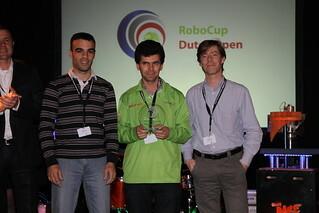 RoboCup is a worldwide project. The goal of the project is: Build a soccer playing robot that looks like a human and that can win from the human world champion in 2050! The knowledge about robotics which is obtained, is shared within the RoboCup teams so the technology improves very fast. 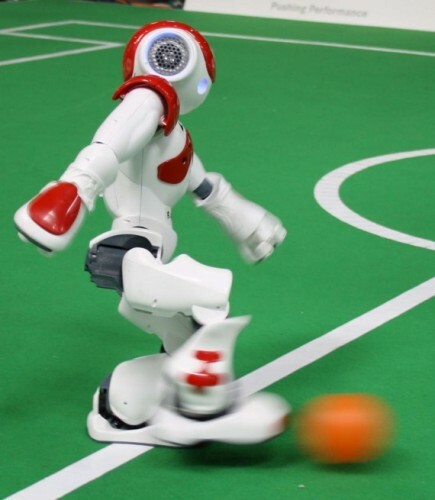 By using soccer as a subject, many people will get interested in the RoboCup. RoboCup has already grown into a project which gets worldwide attention. 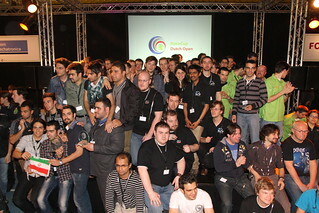 Every year, multiple tournaments are organized in different countries all over the world, where teams from all over the world participate in various disciplines. 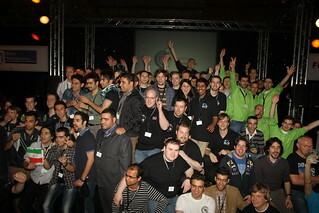 There are tournaments in Germany, Portugal, China etc. A couple of months ago Eindhoven, was awarded to be the smartest region in the world. 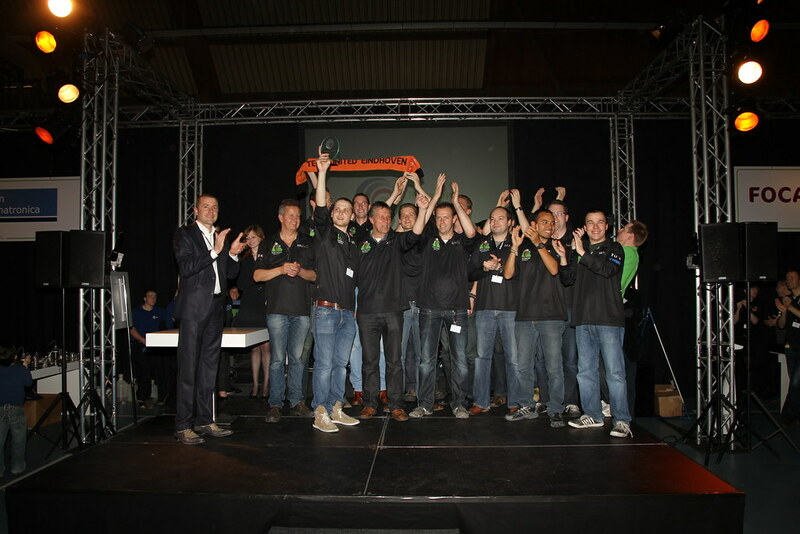 With this title, Eindhoven University of Technology is also going to organize a RoboCup event. 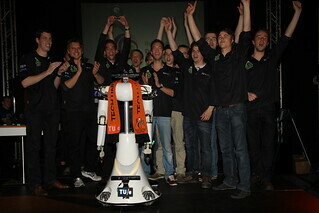 Together with this event technology and robotics in general will be promoted. The robot soccer is united in a league called the RoboCup Soccer League. This League is divided in three competitions: the Small-Size, the Middle-Size and the Humanoid League. The Small-Size League is played at a small soccer field. 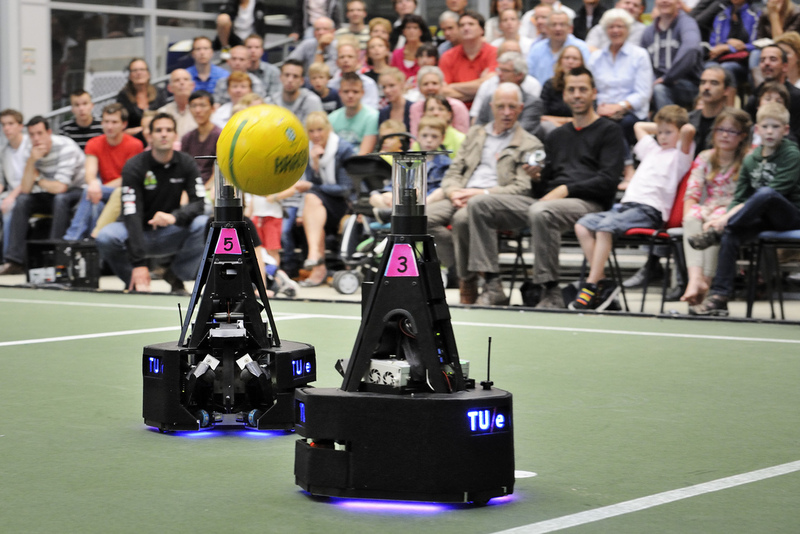 Above this field a camera is placed, which provides the robots with information about the position of the ball, the fellow players and the opposite players. At this league the improvement of the teamwork of the robots is most important. At the Middle-Size League teams of complete autonomous robots play against each other with official Fifa ruling on a field of 12-18 meters. The robots are independent and communicate with each other about the actions they have to take. In the Humanoid League the robots look like humans. Skills like walking, running and shooting a ball are most important to develop. The result of these three leagues will eventually provide knowledge to produce a team of android robots which will play soccer independent. Their tactics will change during the game, just as during every soccer match. Robots which can propel, communicate with each other and with humans and react to their constantly changing environment can be applied in the society in many different ways. 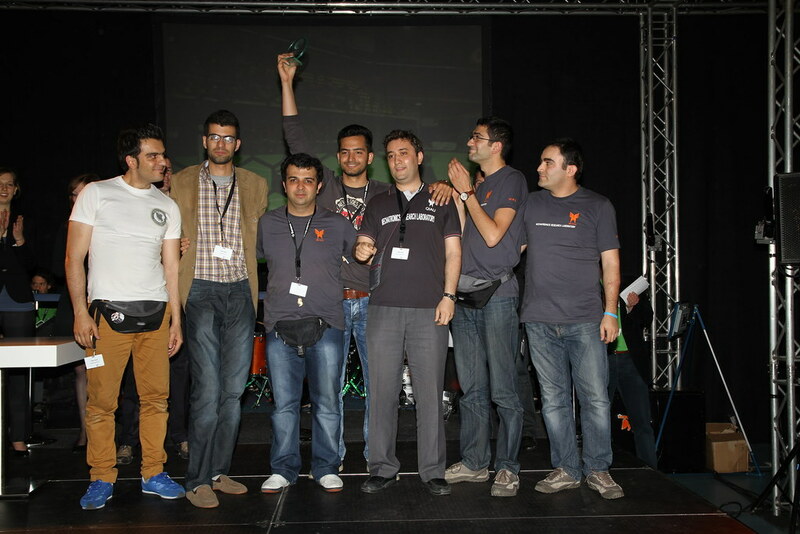 Therefore RoboCup has the RoboCup Rescue and the RoboCup@Home challenges. The Rescue-robots can be used when a disaster has occurred and humans can’t handle it on their own or when it is too dangerous for humans to help. The @Home challenge has as goal the development of robots which can be used in domestic or care environments such as hospitals or nursing homes. They can assist humans and perform tasks like carrying patients. 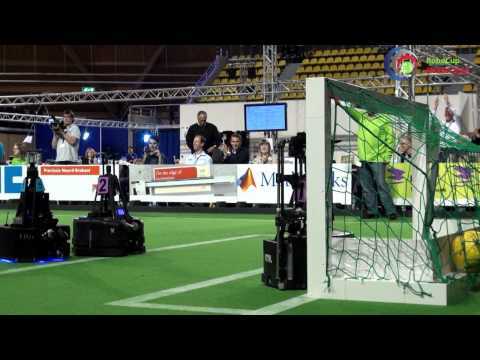 At the Mid-Size League (MSL) two teams of each five robots play soccer against each other. This is preformed completely autonomous, they determine their own strategies and react completely independent at the situation. The robots have a height of approximately 80 cm. 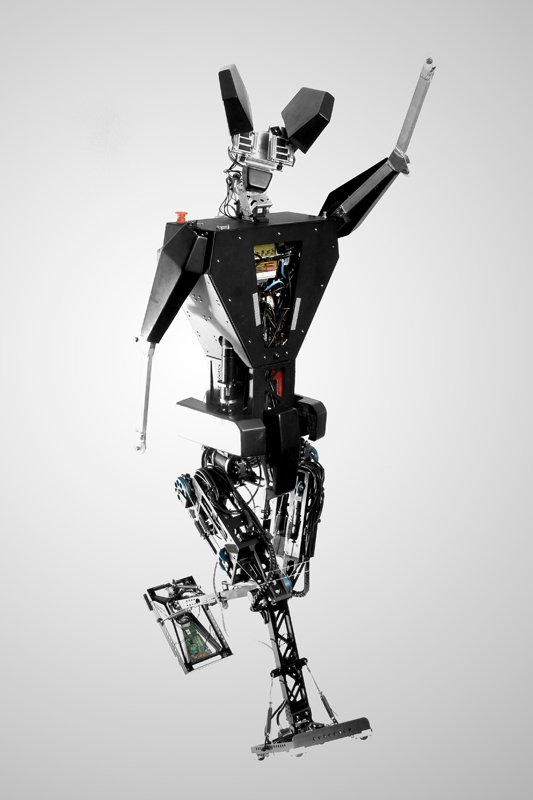 In the Humanoid League human robots are made which can walk independently with two legs. 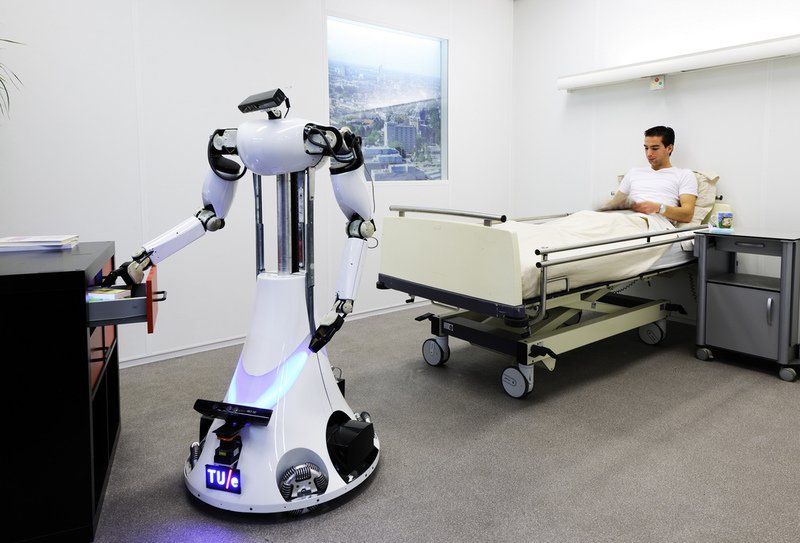 In the future, these robots will be used in an everyday situation, like at home, at the office or in a hospital. 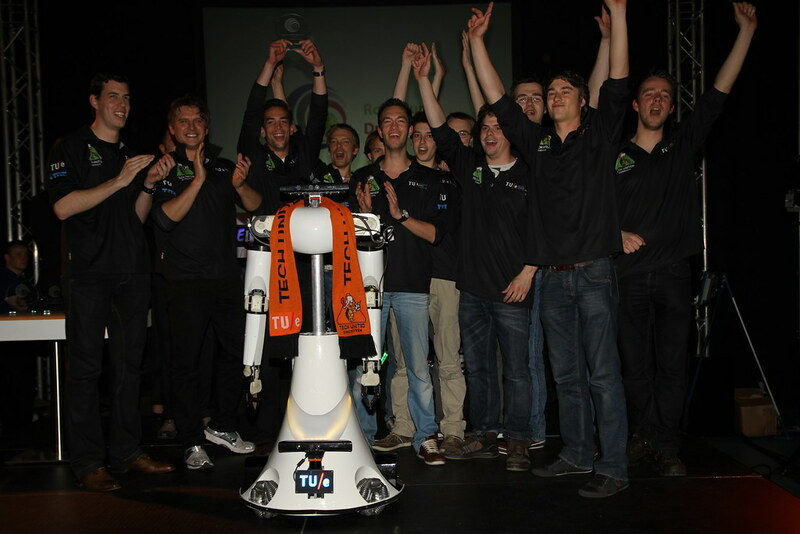 During the RoboCup Dutch Open there will be demonstrations with the robots while playing soccer. 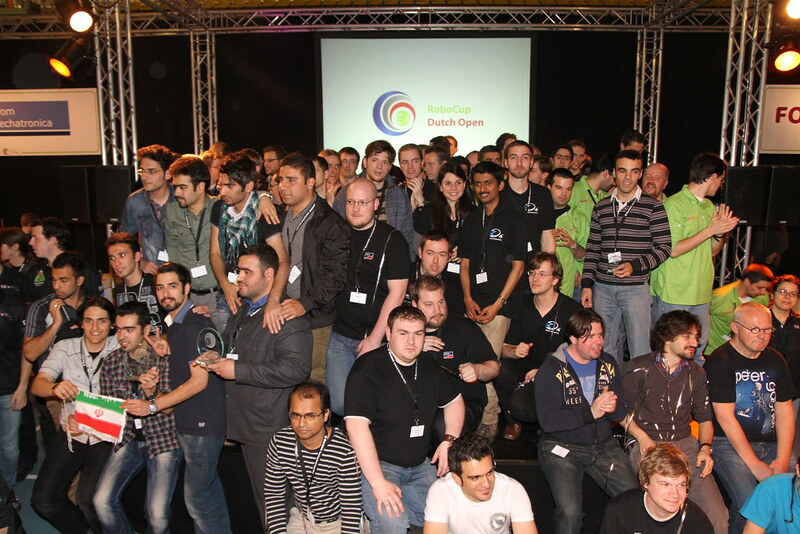 Without the necessity to maintain any robot hardware, the RoboCup Simulation Leagues’ focus comprises artificial intelligence and team strategy. 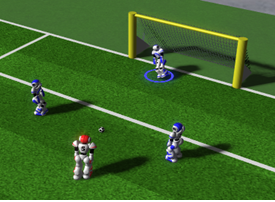 In the 2D Simulation League, two teams of eleven autonomous software programs (called agents) each play soccer in a two-dimensional virtual soccer stadium. 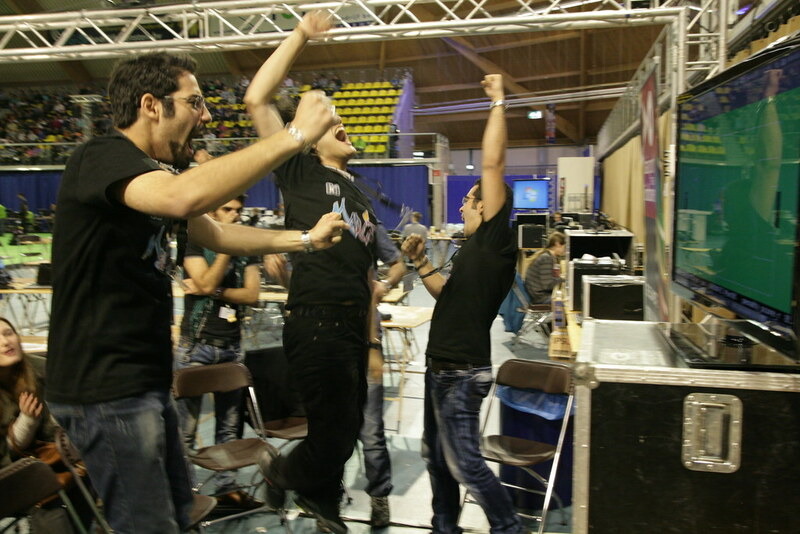 Each player receives relative and noisy input of his virtual sensors (visual, acoustic and physical) and may on the other hand perform some basic commands (like dashing, turning or kicking) in order to influence its environment. 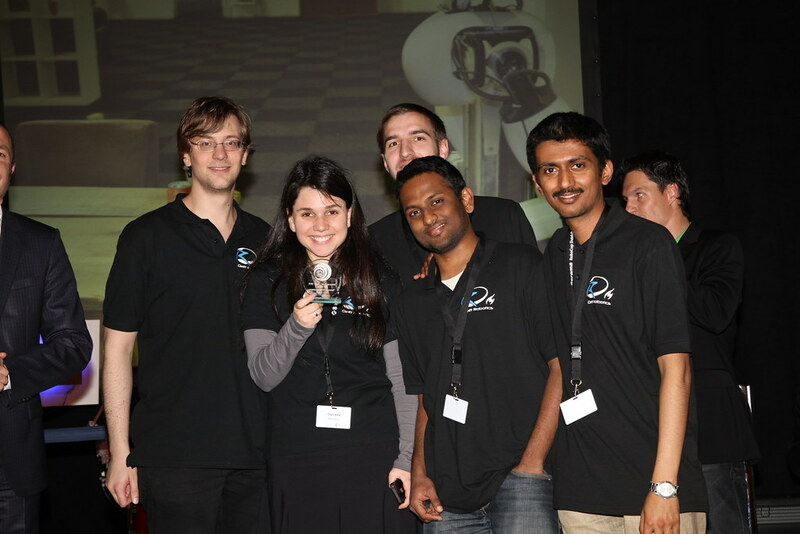 The 3D simulation competition uses the humanoid Nao robot from the Standard Platform League. A match is played by two teams of not more than nine players. Each match consists of two halves of five minutes each. The current challenge is design and implement of multi-agent higher-level behaviors based on solid low level behavior architectures. 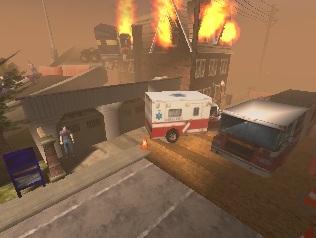 The agent competition has as scenario a devastated inner city after a disaster. In total 300 agents are active on an area with 5000 buildings. The agents represent fire brigade, ambulance and police units, which have to be directed to the locations where their efforts are most effective. 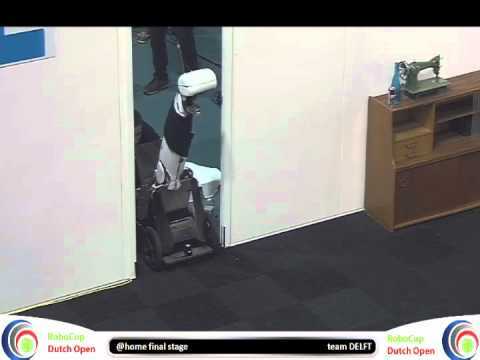 The virtual robot competition has as scenario a devastated building or factory, where a team of robots has to task to scout the area and find as many victims as possible. The robots have 20 minute to complete their mission. Once the robot should stay with the victim to works as communication relay. The observation inside the team should be exchanged to make the searching as efficient as possible. The RoboCup@Home league aims to develop service and assistive robot technology with high relevance for future personal domestic applications. It is the largest international annual competition for autonomous service robots and is part of the RoboCup initiative. A set of benchmark tests is used to evaluate the robots’ abilities and performance in a realistic non-standardized home environment setting. Focus lies on the following domains but is not limited to: Human-Robot-Interaction and Cooperation, Navigation and Mapping in dynamic environments, Computer Vision and Object Recognition under natural light conditions, Object Manipulation, Standardization and System Integration. 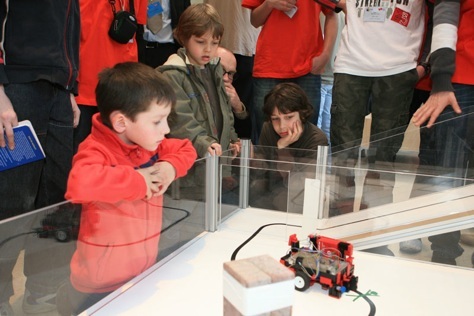 Junior League introduces the RoboCup to children from primary and secondary schools. 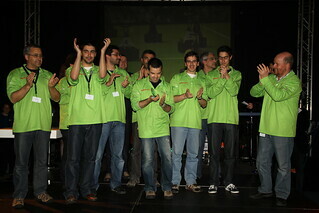 The aim of this League is to educate and interest the children for robotics. 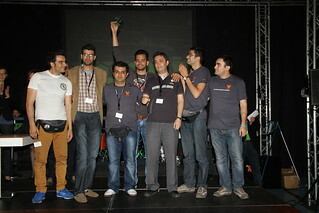 Besides this, it gives them the possibility to compete in the program and meet peers. The Junior League has different competitions, such as soccer, dance and rescue. 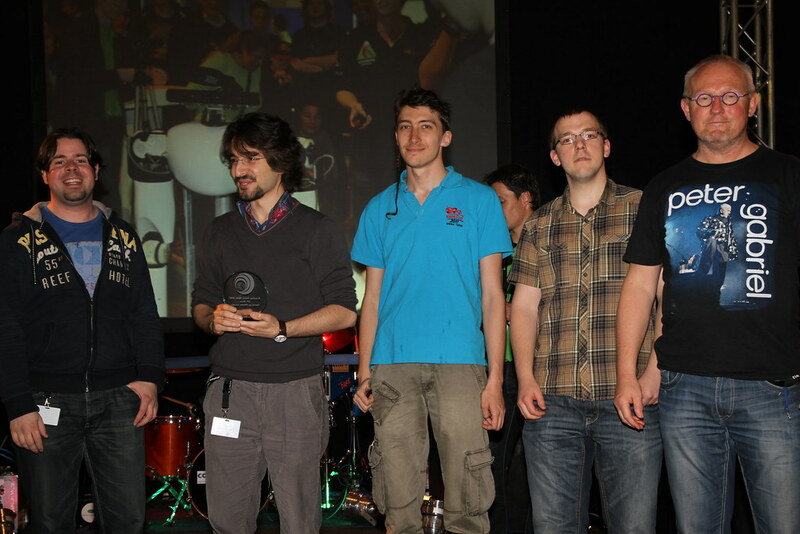 There are plans to organize a RoboCup@Home Junior this year. In the Standard Platform League teams only develop software on state-of-the-art robots. 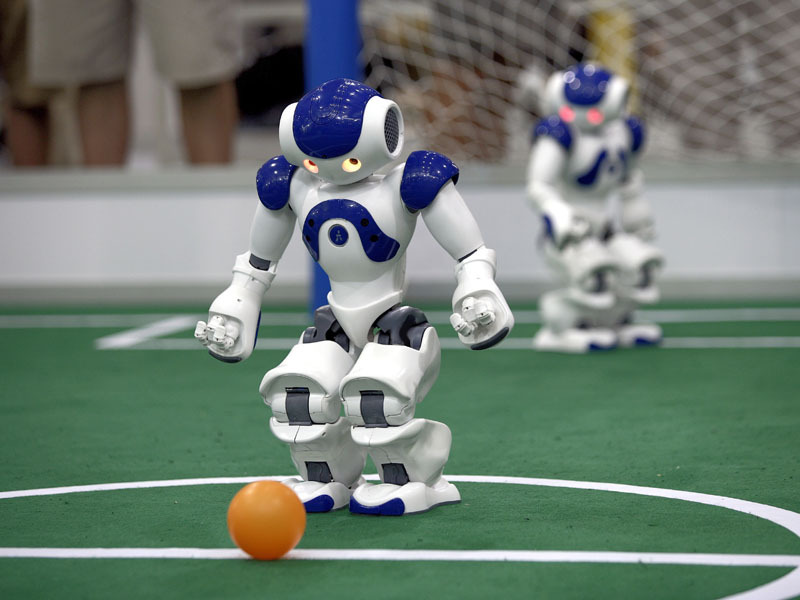 These robots play soccer, but decisions are made by difficult vision resources. In the MSL omnivision is used (the robots can observe their surroundings within a angle of 360 degrees), but in the Standard Platform League a limited angle of 60 degrees is used. The League is based on the Aldebaran’s Nao humanoids.